FAST TRACK, ON-TIME, QUALITY FABRICATION AND ERECTION. With 60+ years in business, TTI-FSS is recognized domestically and internationally as being a certified and qualified shop specializing in fast-track, on time, on-budget, high-quality engineering, design, fabrication and construction. TTI-FSS fabricates ASME pressure vessels, field-erected API storage tanks, piping, and is certified in AISC fabrication for major and minor bridges, bridge rehabilitation, with fracture critical and sophisticated paint endorsements. TTI-FSS also specializes in large complex industrial modular steel components. 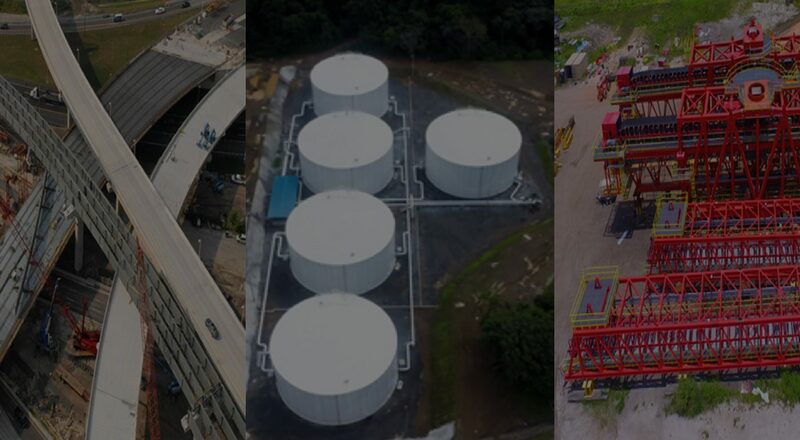 TTI-FSS performs in the following industries: Transportation & Infrastructure, Energy, Oil & Gas, Petroleum, Mining, Chemical, Pulp & Paper, Water & Wastewater, Air Pollution Control, as well as other custom projects and structures. TTI-FSS is uniquely equipped to ship products of almost unlimited dimensions and weight from its deep water berth at its Port Redwing Tampa facility. TTI-FSS’s teams operate across North America, Central and South America, West Africa and throughout the Caribbean. Our team of professionals has the breadth and depth of knowledge and experience to address any tank, piping system or structural steel fabrication challenge delivering results that meet or exceed required standards. TTI-FSS is one of the few tank and structural steel fabrication companies in North America with the ability to ship products of almost unlimited dimensions and weight from its deep water berth at its Port Tampa facility. The company, headquartered in Tampa, FL, operates across North America, Central and South America, West Africa and throughout the Caribbean. The company is American Society of Mechanical Engineers (ASME) and American Institute of Steel Construction (AISC) certified. Our team of full-time professionals has the breadth of knowledge and depth of experience to address any tank, piping system or steel fabrication challenge you bring and deliver the results you need.